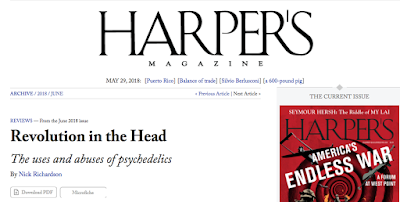 At Harper's magazine, Nick Richardson reviews two books: How to Change Your Mind: What the New Science of Psychedelics Teaches Us About Consciousness, Dying, Addiction, Depression, and Transcendence, by Michael Pollan and Trip: Psychedelics, Alienation, and Change, by Tao Lin. 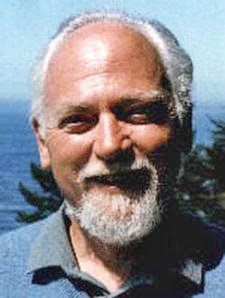 There's a mention of Robert Anton Wilson: "Keen psychedelic hobbyists have adopted a phrase borrowed from the fifteenth-century writer Thomas Malory by the cult novelist Robert Anton Wilson, 'Chapel Perilous,' to refer to the period immediately after a strong trip in which your mind, having been confronted by a quantity of sensory data that directly contradicts normal lived reality, tries to make sense of what has happened. 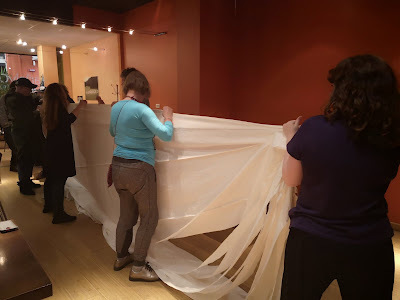 Trips are high-intensity presentations of the eighteenth-century philosopher Bishop Berkeley’s argument for not trusting your senses: If changing your brain chemistry can replace the usual world with a different one, then how can you trust what you usually see? Am I real? ... For months after my trip I worried that an alien was fabricating my thoughts and projecting them into my mind. My ego was dissolved, but for an uncomfortably long period and not helpfully. Wilson said you come out of Chapel Perilous 'paranoid' or 'agnostic' about most things, which is what happened to me; the other possibility is that you don’t come out at all, which is what happened to my friend Tom." The Pollan sounds quite interesting and I will try to find time to read it. I believe the them in McKenna's statement was meant to mean the mushrooms, but some people willful misunderstood or can't imagine such a construction, probably due to severe constipation of the mind. 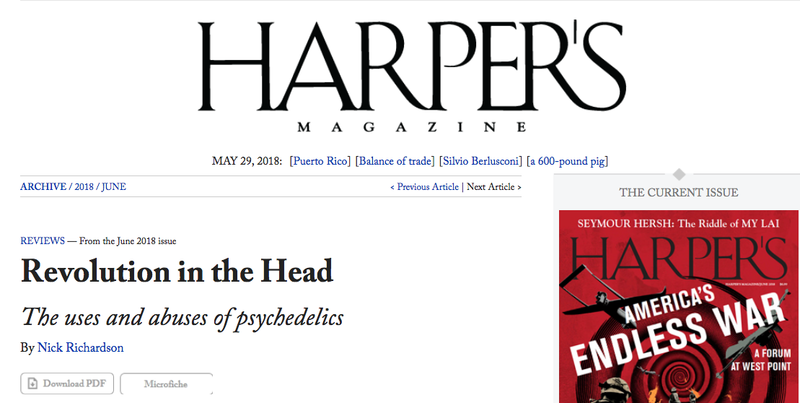 As psychedelics get more positive press expect to see more and more from the fear and loathing crowd.